There’s an unspoken deal between me and my Sunday school students: If they’re doing any sort of craft or activity, the Frozen soundtrack needs to be playing in the background. It’s important to them. They adore the songs, and so do I (or maybe I just like seeing how much they adore the songs). And, of course, they belt out “Let It Go” with the passion that can only be found in a Disney-infused 8 year old. Context: Queen-to-be Elsa is cursed to turn everything she touches into ice. She lives in hiding for years and years to spare the world from her so-called destructive quality. When the curse which she has suppressed for so many years is unleashed, she “can’t hold it back anymore” and begins a process of embracing who she is and the curse she has (first by running away, then eventually by using the power of love to use her so-called curse to save the day). Because you know what definition I learned? I learned that “let it go” was synonymous with “behave.” These were words I heard when I happened to be sad about something longer than I was supposed to be (God forbid! ).” Or when I cared about something more than I should. When I was suffering. When I needed to pretend something wasn’t bothering me. “Let it go” was always about hiding. For those three words to become a call to emotional honesty and an empowerment of true identity…that’s huge. It’s huge for my students, and it’s huge for me. 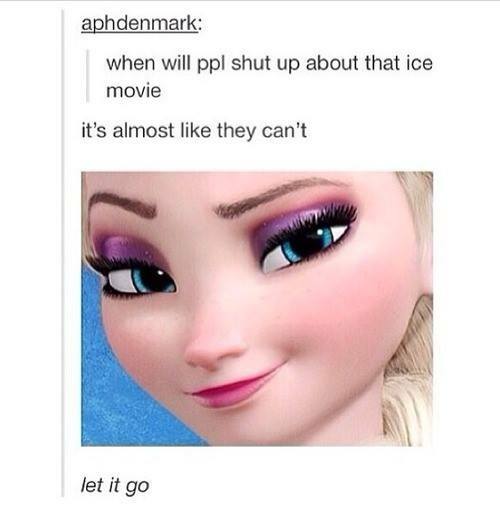 Essentially, the “IT” in let it go has changed. When I was growing up, let it go = let go of your feelings, let go of your history, let go of your dreams, let go of your true self. 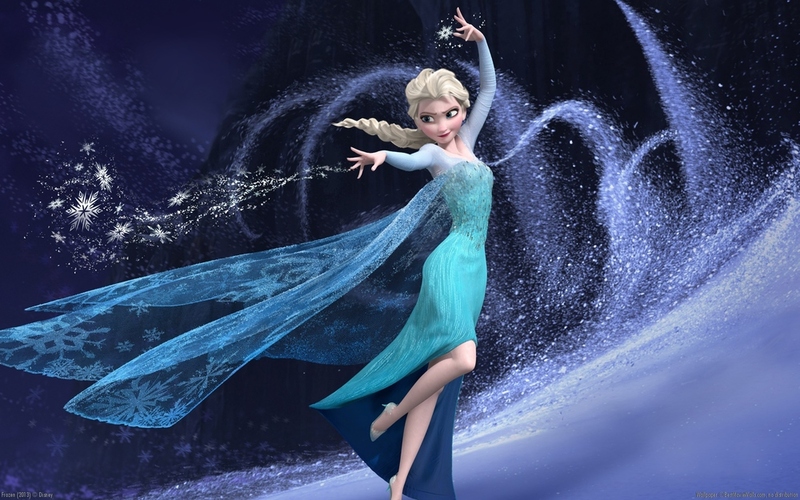 For the Frozen generation, let it go = let go of expectations, let go of trying to please everyone, let go of hiding. Oh, and love everyone else through their truth, too. Guess which one is a way, way better message for our kids? Watching those same words which used to assault me into “moving on” encourage my students to move inward and to express themselves? Beautiful. Just beautiful. Frozen soundtrack, you are welcome in my classroom any day.